I think we would find with a careful study that the Council of 1872 was not very successful in putting down the heresy, and that there were many instances of ethno-phyletism being tolerated on a smaller scale prior to 1922. That means that this heresy may be close to surpassing iconoclasm as the longest running heresy in the history of the Orthodox Church – a dubious honor, to be sure. “Ethnophyletism” is a heresy recognized only by the Greeks, who seem to think they should rule the world. Well if they’re so against ethno-phyletism, why do they appoint mainly other Greeks, even to Middle Eastern (or Indian, etc.) bishoprics? Could it be because Greek Orthodoxy is a primarily a mafia, and only secondarily a religion? Hmmm, that would go far in explaining the 2008 scandal. Not that the Russians are any better. (“Saint Putin” indeed.) Funny how Orthodoxy has zero credibility when it comes to ethics. It’s disgusting! The only Orthodox churches nearby are Greek. Is this just a Greek thing? The other churches don’t treat us this way. Why is it so important? Why is being Greek more important than being Orthodox? 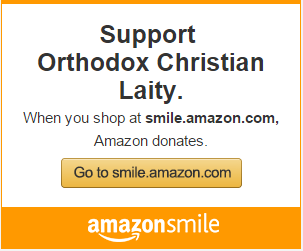 I’ve gotten to a point to where I can honestly say that I love Orthodoxy, it’s the people I can’t stand. Hear hear! “Small ‘t’ ” tradition is important to a lot of folks as it’s been used for decades to try to keep parishes viable in many jurisdictions. But that sort of thing doesn’t actually have anything at all to do with your salvation, and for many who are in search of Truth and “Large ‘T ‘ ” (Holy Tradition), small “t” stuff actually gets in the way. Probably the people Mona B has encountered are indeed well-meaning, but let’s face it – they live in a bubble, and assume everyone else does too. So that’s why I felt it’s important to chime in and support the advice of “Orthodox Guy” — he’s exactly right. The OCA, and to perhaps an even greater extent, the Antiochians, are the most invested in “making a Church home for people who are searching” to find. Ethno-phyleistm has been a great problem in the Greek Orthodox churches. I can’t deny it. Even though my mother was Greek, there were occasions in the past when I was rejected when parishioners found out I couldn’t speak Greek. It saddens me to read all of the comments of those who still encounter this attitude from the Orthodox they meet. Fifteen years ago, when our suburban mission parish was given a priest, and the opportunity to build up a parish, I decided to fight that trend by greeting and making welcome every person who visited our church, and made a commitment to not ask if people were Greek, but to welcome them unconditionally. It was important to encourage everyone about being welcoming to new people. Today, our parish is so large I don’t know everyone. Today, I make the mistake of greeting people and finding out they’ve been coming to church for months, I’ve just never seen them before. Its a nice problem to have. When I apologize, the response is, “this parish is so welcoming.” We should be. We have a pearl of great price to share with the world. Today, our parish is large, and it’s demography includes a percentage of Greeks, almost as many Syrians, a smattering of Russians, Romanians, Ethiopians, Indian Orthodox, and Mexicans. Fifty percent of our parish is now made up of American non-ethnic converts, and a small fraction of those are married to cradle Orthodox. Our Liturgy is chanted 90 to 95 percent in English because it is a language everyone knows regardless of their heritage. To be welcoming and inclusive, our priest incorporates key passages in Spanish, Arabic, Russian and Romanian on a randomly rotating basis. One of the most personal moments in our Liturgy is following the Lord’s Prayer in English, the prayer is prayed in turn by person or persons in their native language. 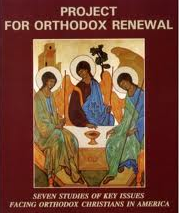 For the congregation this action affirms the universality of Orthodox Christianity. Not all parishes are married to their ethnicity, but those are tend to be the ones that have shrinking congregations. The future of our faith is in those parishes that embrace a missionary attitude; our Orthodox Christianity is the gift of God to all humanity — we should share it and welcome all who ‘come and see’. Ethnophyletism is a general problem of the orthodox churches around the world, not just a problem in the US. Forgetting the biblical, patristic and spiritual basis of the Orthodox Church is an even worse problem and it has infected all orthodox churches around the world to varying degrees of intensity. What is needed: a spiritual clergy not acting as businessmen but honoring their calling and focusing on the spiritual and pastoral needs of the community. Another problem is the near abandonment of missionary spirit for all people near and far, in fact for the members of each community itself. Re-evangelization is most necessary. Globalization with the mixing of people of different backgrounds in the same place is a great challenge for the Orthodox Church in general.